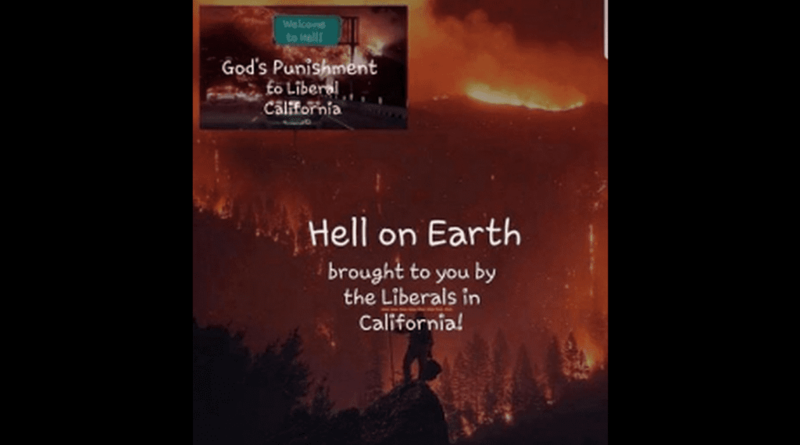 A Republican official in Ohio posted an image on Facebook claiming that fatal wildfires throughout California are “God’s punishment” for liberal policies. Columbiana County Republican Party Chairman Dave Johnson apparently deleted the social media post, but it doesn’t seem like he’s all that sorry. He blamed the “meme” he shared for being “inartful” without admitting there was nothing funny about it. … Johnson said in a telephone interview that the post, which he published on Sunday after reading a news article and deleted later that day, reflected his belief that Democrats have mismanaged California. But, he said that he didn’t mean to offend anyone. “Look, that’s a meme. And it’s how I feel about liberals, but did I mean that God is going to punish everyone who lives in California? No. It’s a figure of speech, and I probably shouldn’t have done it. But I did, and it doesn’t change how I feel about what’s happened in California,” Johnson said. It’s the oldest line in the book: “I’m sorry that you were offended.” It’s not an actual apology. He’s not really sorry. And he even says the image reflects his own beliefs in spirit. 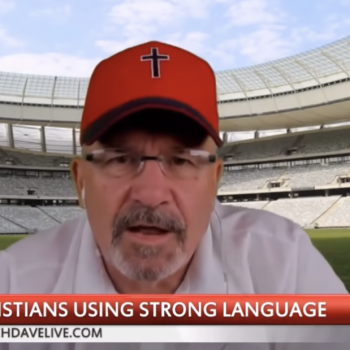 What is all that if not an attempt to offend people? It’s not that everyone else is misunderstanding. He’s just gaslighting America. Fortunately, Mahoning County Democratic Party Chairman David Betras called Johnson out on his nonsense. Johnson owes the victims, their families, and the heroes who fought the fire and participated in rescue efforts an apology. In addition, I think his demented comments disqualify him from holding positions of public trust. He should, therefore, immediately resign from all the public positions he holds: party chair, member of the Columbiana County Board of Elections, and member of the Board of the Ohio Bureau of Workers’ Compensation. This shouldn’t even be a political issue. We are talking about devastating natural disasters here. These wildfires are objectively getting worse not due to “liberal policies” in California, but because of climate change made worse by our own inaction. God has nothing to do with it.